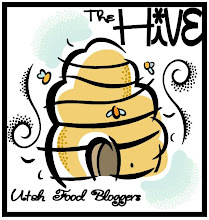 Here's a Summer favorite that's quick, easy and so delicious! Perfect for those busy Summer days and a tasty way to use your zucchini. Cut the zucchini into rounds if small, quarter the rounds if the zucchini is larger. Cut tomatoes into strips or dice. Brown the ground meat. Add salt to taste. Saute zucchini, onion and Italian seasoning in a bit of olive oil until almost tender. 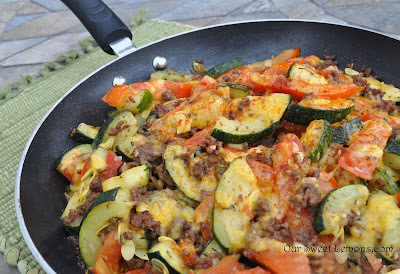 Add zucchini and onion to the ground meat skillet. Add fresh tomatoes and Italian Seasoning, gently tossing to warm tomatoes through. This just takes a couple of minutes, don't over cook. Sprinkle lightly with Paprika and serve! I never measure amounts for this dish. Actually that's how I love to cook but it can be rather challenging to share the recipe. 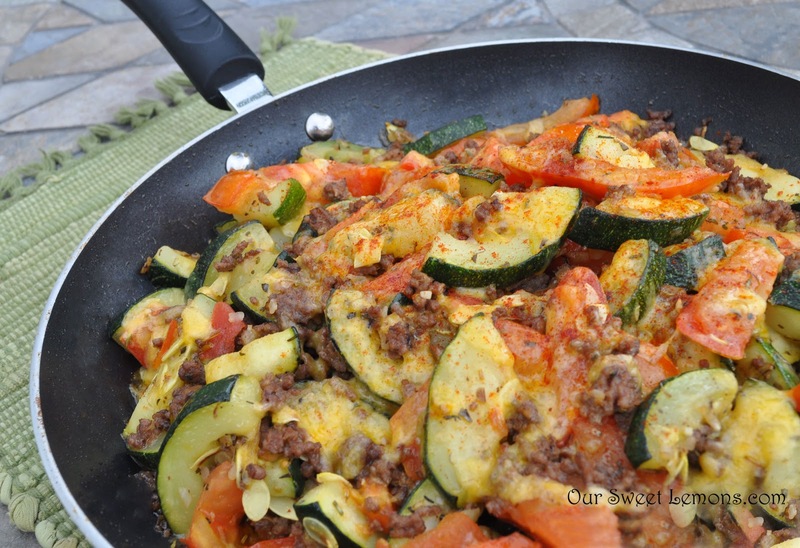 For a pound of ground meat, use about a couple of cups of zucchini and tomatoes, and a couple of tablespoons of Italian seasoning. This will make enough for about 4-6 servings depending on how hungry you are. Pair this dish with some yummy whole grain bread and you have a satisfying supper! This is stuff is good. We ate it yesterday for dinner!